During this time, I have spent time in burning buildings both with and without breathing apparatus. What I want to write on today is how to exit a burning structure. The situation that is of most concern is waking up in the night to a fire. You are sleepy and not fully alert. If you are lucky, your smoke detector has alerted you early in the progress of the fire. With children in the home, an alarm that has a voice recording option is best. The first thing that many people do once they realize their home is on fire is to sit up in bed. This can be a major mistake because, as we all know, heat and smoke rise. Instead, have a plan to roll out of bed and stay low on the floor unit you can determine the situation. Don’t make the mistake of sticking your head up into what could be smoke and hot gases. Smoke in a house fire can contain some very nasty poisons and should be avoided if possible. The temperature between floor level and ceiling height can be as much as several hundred degrees. Hopefully, prior to the fire, you have planned an escape route and know your way outside. For myself, even if I am spending the night in a hotel or someone else’s home, I plan an escape route. If you wake up in a fire, get on the floor and crawl to your exit point. If you have to open doors, use the back of your hand to feel and see if the door is hot from fire on the other side. If you live on a second floor, plan on how you will be able to reach the ground and how your kids will reach the ground. You can buy fire escape ladders that work well. If you are in a high rise, do not use the elevators. In some cases, the fire shorts out the elevator buttons and the elevator will go to the fire floor and the doors will open, leaving you trapped. Set off your smoke detectors late at night and see if they will wake your children. In many cases, children will sleep through them. If this happens, talk to a local alarm company about getting a system with a louder bell. If you have children, make sure you have fire drills, teach them what to do. If you have a fire extinguisher and make the decision to fight the fire, always make sure that someone has dialed 911 and leave yourself an escape route. One of the most important things to do is to have a meeting place to gather to make sure everyone got out. I have seen a father die going back into a house to rescue a daughter who was standing outside on the opposite side of the house. The meeting place can be as simple as the light pole across the street. A few minutes thought and training can be the difference between life and death for you or one of your family members. This entry was posted in Fire prevention, survival and tagged alarm, house fire, smoke inhalation, structure fire. Bookmark the permalink. Have you practiced EDITH? It stands for Exit Drill In The Home. When your smoke alarm goes off, roll out of bed, crawl low to avoid smoke, exit the door, meet outside. Go to a neighbor’s house or use a portable phone to call 911. Designate a safe house with a neighbor within walking distance, where your kids know to go, and can wait until you get home. Elderly relatives need someone to check on them daily and whom they can call for help if you aren’t there. If your neighborhood must evacuate so that your nearby neighborhood refuge is not an option, your family will be more at ease if they have a pre-planned alternative to a public shelter. When local phone service is out, long distance “may” still work. Designate an out-of-area friend or family who agrees to accept collect calls from family members to check in and let the others know where they are, if they need help or are safe. Ensure that family members know where and how to shut off the electricity, gas and water at the main sources, should they need to evacuate. Are your main utility shut-offs in the home plainly marked? Is there an adjustable wrench in plain sight near your gas meter? 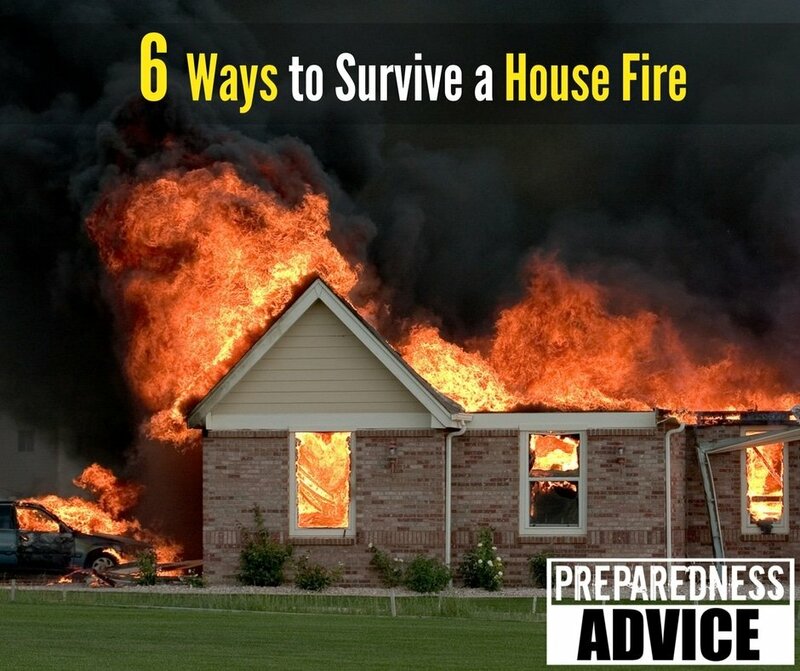 If your family ever needs to evacuate turn off all utilities to reduce risk of fire, water damage and contamination. Do you have an email site if so ,could I be placed on your mailing list?